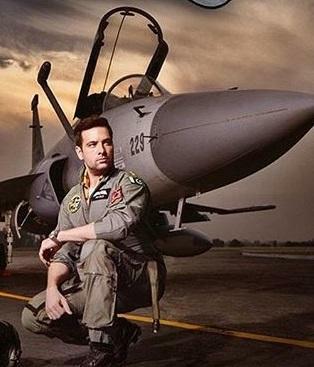 Pakistan Telecommunication Company Limited (PTCL) sponsors ‘Sherdil’, a powerful Pakistani movie that highlights the courage and bravery of the PAF pilots, evoking the nation’s patriotism and love for their country. The feature film is being released on March 22, 2019 across Pakistan to celebrate Pakistan Day. PTCL’s sponsorship was announced at the film’s unveiling press conference held today at a local hotel in Islamabad. 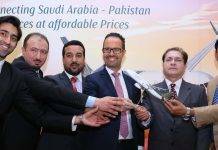 The event was attended by Syed Shahzad Shah, Executive Vice President, Marketing & Communication, PTCL, Fariha Shah, GM Corporate Communication, PTCL, Ehtesham Ahmed, GM Marcom & Brands, PTCL, along with other officials from the company. Sponsoring the film ‘Sherdil’ is PTCL’s contribution to evoke a sense of patriotism that is found in the hearts and minds of every Pakistani in defending their motherland and, more so, in the hearts and minds of every soldier of the armed forces. PTCL expects to raise the spirit of every Pakistani in his or her love of their homeland by supporting ’Sherdil’, as this is need of the hour and the entire nation has to come together to demonstrate the fact that love for Pakistan stands above everything else.